Phil and Katie’s White Willow Estate wedding is one we’ve been dying to share for a while! These two were married in early September on the most beautiful day. We began the day at Collective Concepts, a salon in downtown Boise where the girls were getting ready. 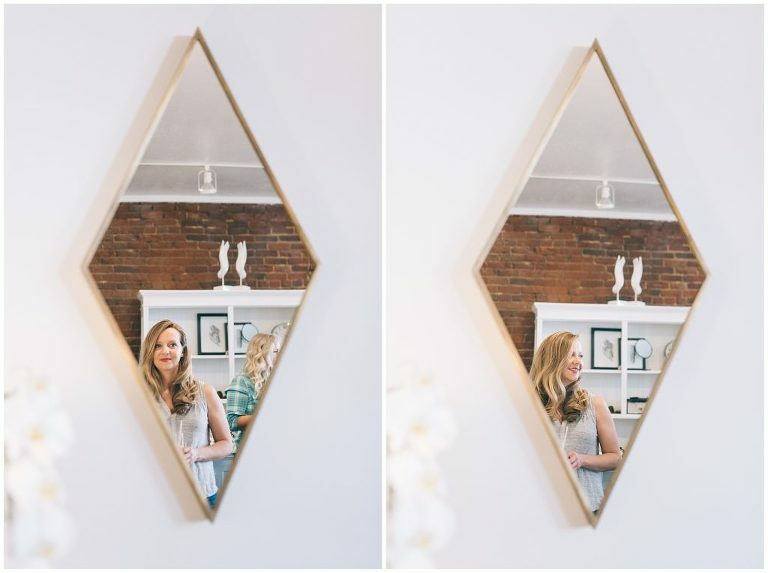 These preparation shots are some of our favorites where everyone is relaxed, having fun and the air is filled with anticipation and excitement for what is about to happen that day! After getting all dolled up we all headed over t0 the venue, White Willow Estate in Star, Idaho. This place is honestly the most beautiful place for a wedding. With lots of open space, tall trees and a big beautiful river it was such a romantic spot! Phil and Katie shared their first look together down by the river where afterwards they were cheered on by their bridal party. This was such a fun group to work with! The ceremony was held right next to the river as well and everything from the emotions to the vows were so sweet and genuine we couldn’t help but just burst with happiness for these two! After the ceremony it was time for the real party to start and oh what a party it was! If we had to describe this day in any way we would say it was a big celebration of love. Everyone was in the best mood talking, drinking and dancing and it was incredible to see all of the love and support Phil and Katie have in their lives. This is why we love what we do and we are so happy to have been a part of this incredible day. Congratulations Phil + Katie! Below are some of the vendors who made this day amazing!